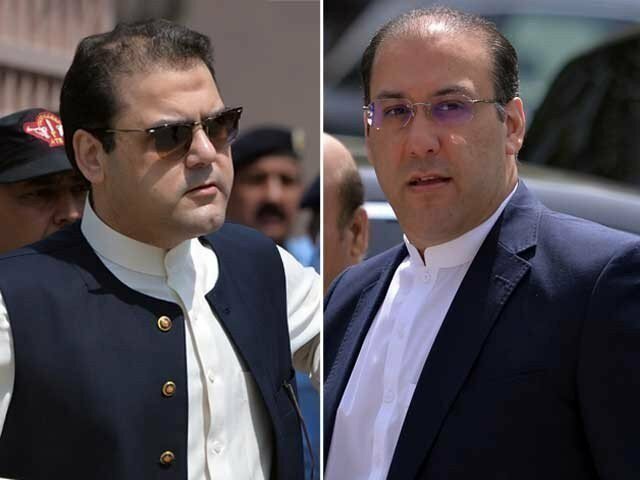 ISLAMABAD: The government late on Friday night approached Interpol to initiate the process of issuing red warrants against convicted former prime minister and Pakistan Muslim League-Nawaz (PML-N) supremo Nawaz Sharif’s sons, Hussain Nawaz and Hassan Nawaz. National Accountability Bureau (NAB) Chairman Justice (r) Javed Iqbal initiated the process to bring back the former PM’s sons by writing a formal request to the Interior Ministry. Hassan and Hussain are residing in London and attending to their ailing mother Kulsoom Nawaz. The Federal Investigation Agency (FIA) has reportedly written to Interpol Headquarters seeking red warrants for the brothers. The application reportedly states that the former PM’s sons are sought in corruption references. Earlier on December 4, an accountability court had declared Hassan and Hussain proclaimed offenders in three corruption references filed by NAB. The anti-corruption watchdog had also presented a report in court regarding property owned by the brothers, which stated that the accountability bureau did not find any property in the country owned by them. The brothers, who reside outside Pakistan, are accused in all three references ordered by the Supreme Court (SC) in its July 28 verdict in the Panama Papers case: Avenfield properties, Azizia Steel Mills and Hill Metals Establishment, and Flagship Investment Ltd.